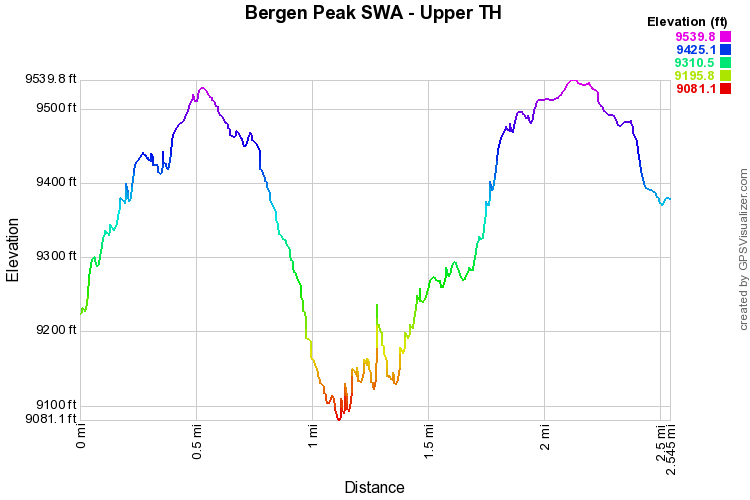 The Bergen Peak State Wildlife Area has two trailheads, the lower...see this hike description...and the upper. 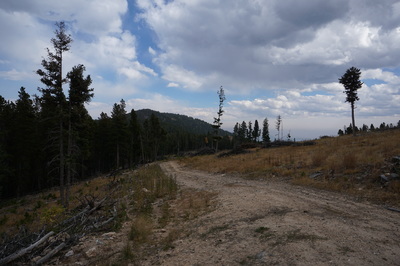 While the lower trailhead leads to an official loop trail, the upper section is a bit more wild and lacks any official trails. 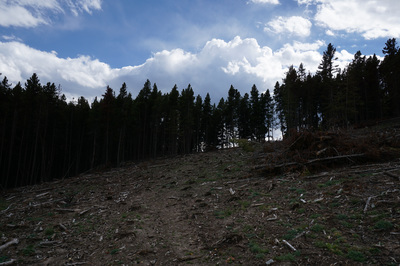 The result is a choose your own adventure bushwack. 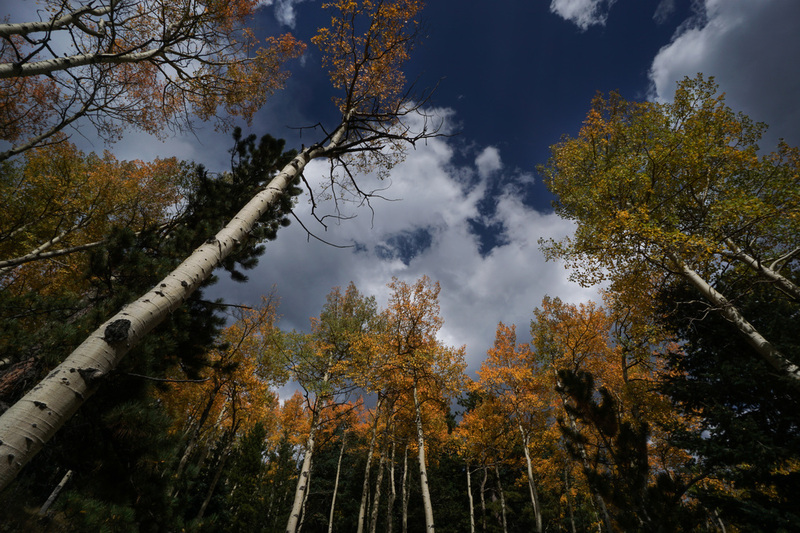 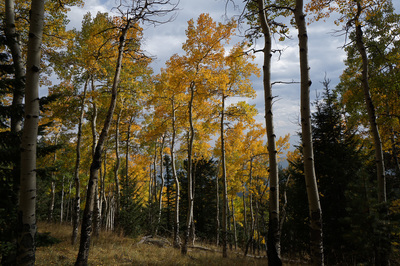 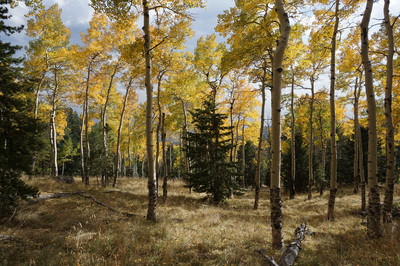 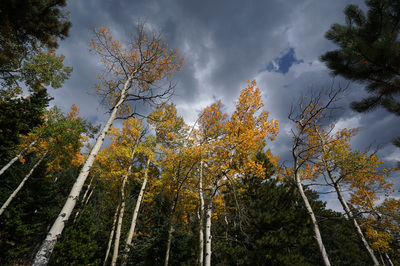 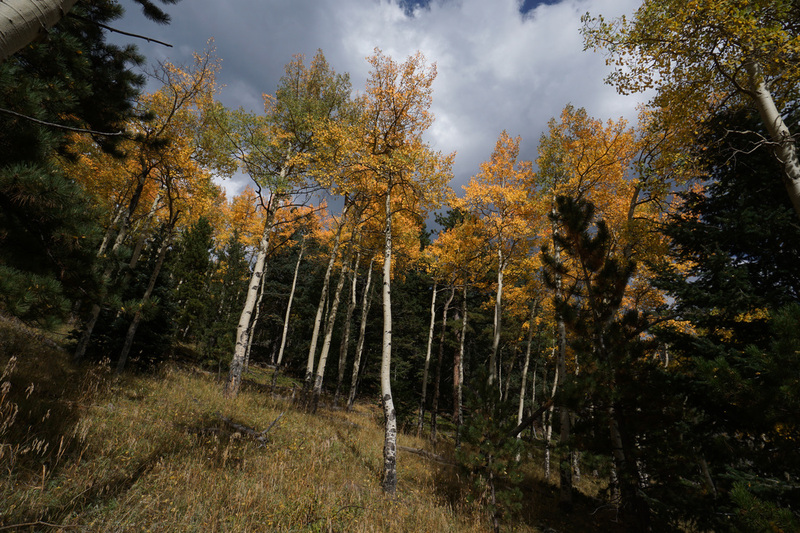 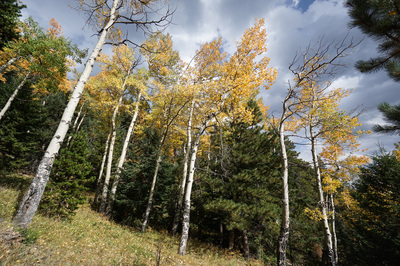 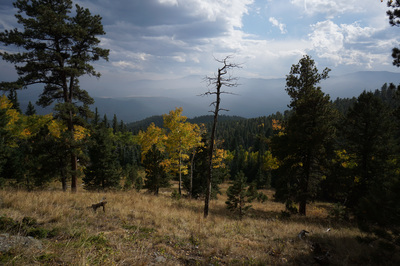 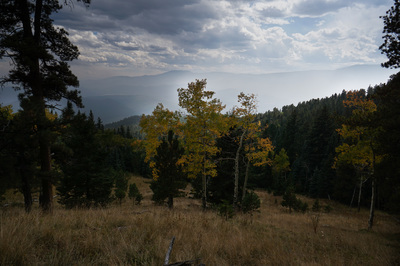 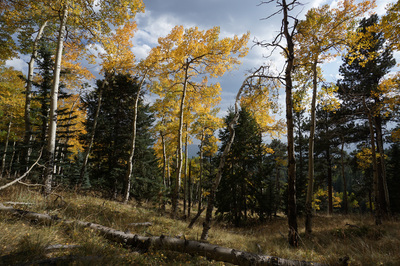 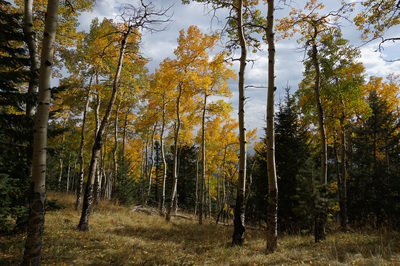 In the fall, this area is beautiful as it is a hot bed of Aspen activity. 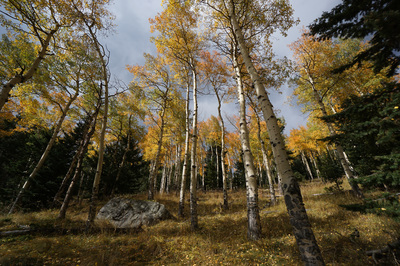 Aspen groves are immediate but once you hike in a bit, there are some outstanding groves that you can explore to your heart's content. 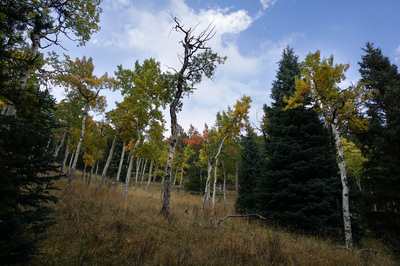 From the parking area follow the road as it climbs moderately, turn the corner and the first aspen grove will present itself in front of Bergen Peak. 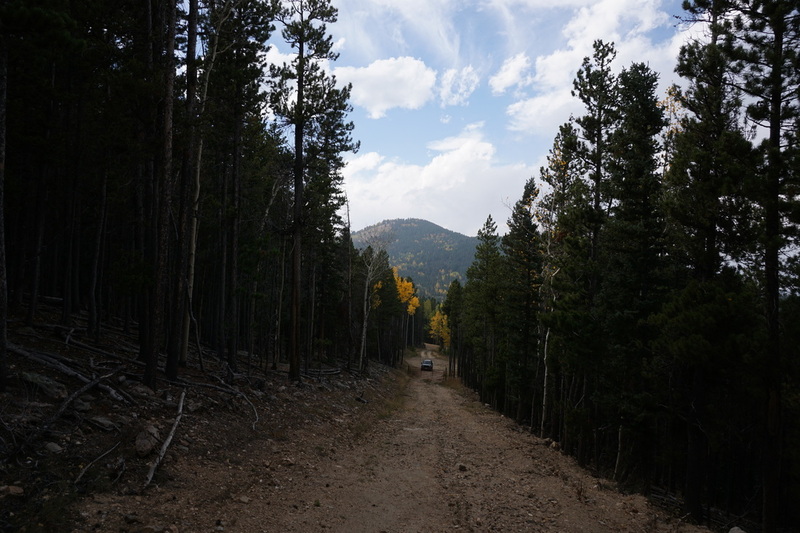 Continuing up the road another grove spans both sides of the road. 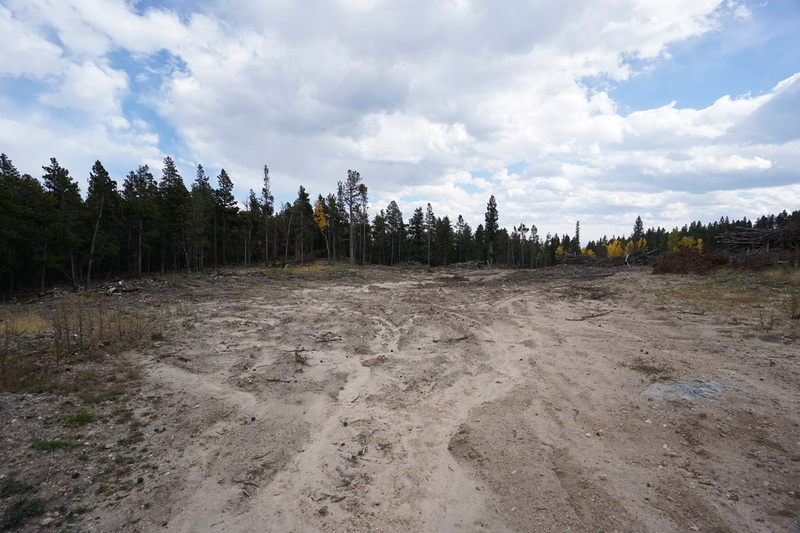 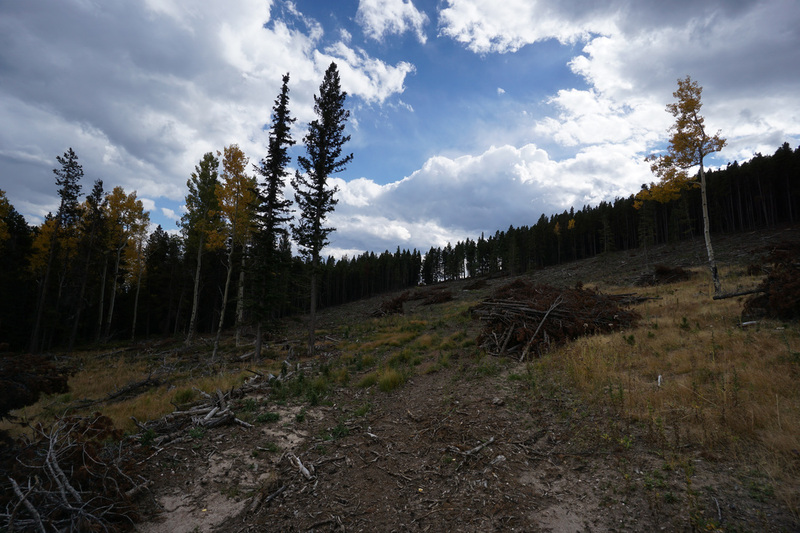 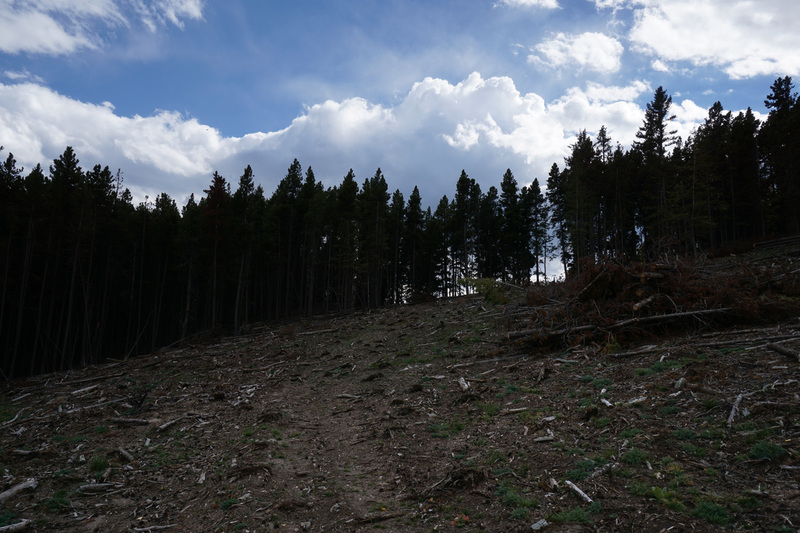 After a few more minutes of climbing you'll reach a large open space being used by the State as a slash pile. The road continues and becomes more faint until it reaches a saddle or a pass. 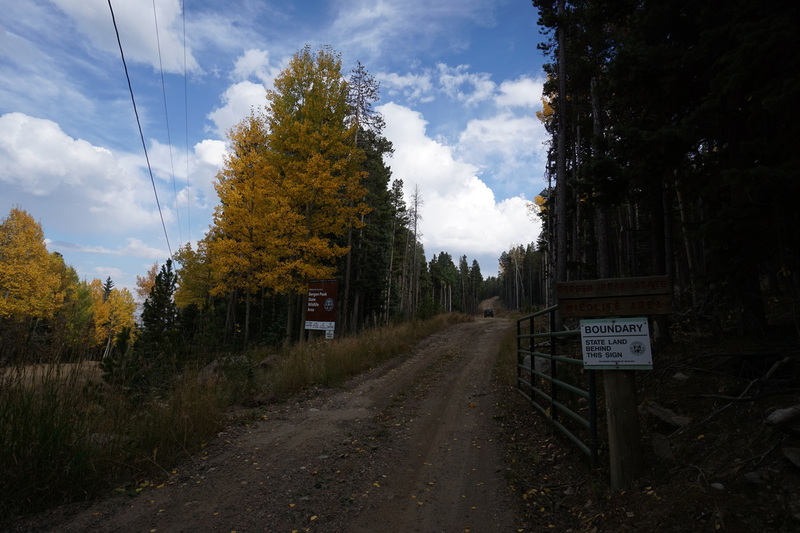 This is where the trail ends. 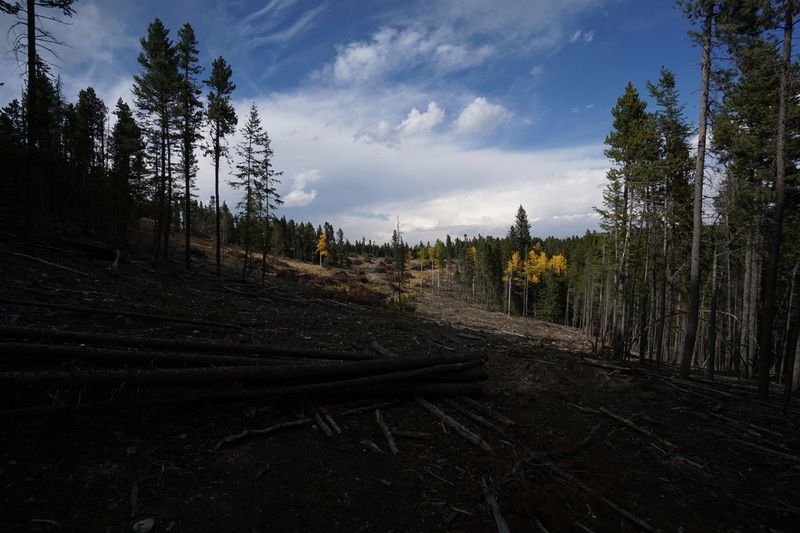 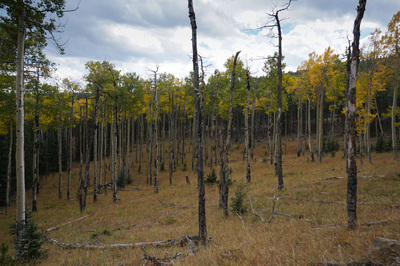 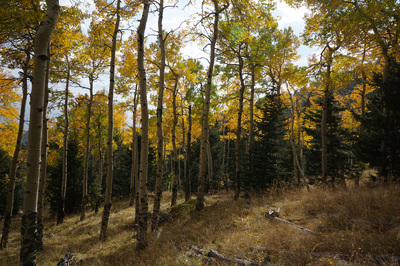 On the other side of the pass is a beautiful tall aspen grove and the terrain steeply falls away behind the grove. 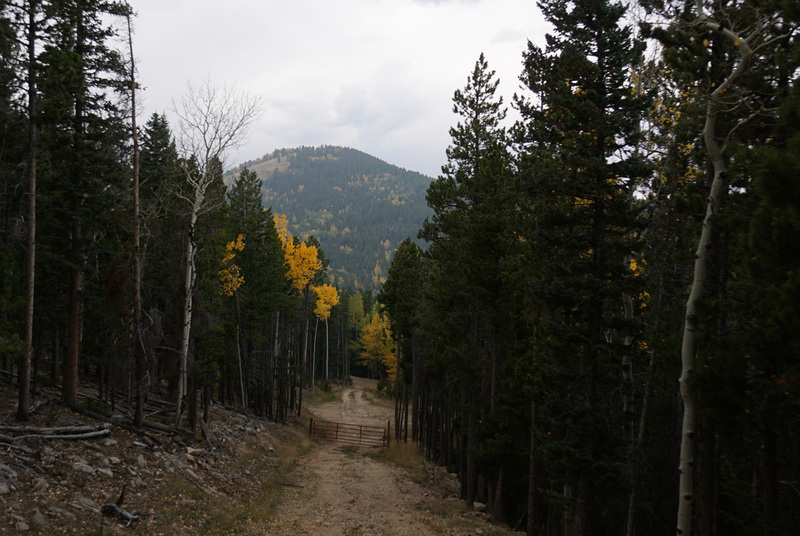 This is a good spot to get your bearings. 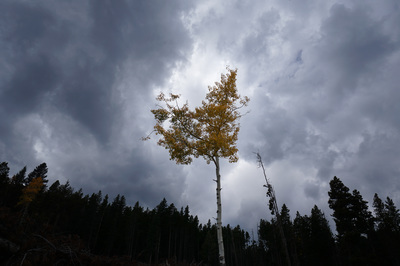 I suggest looking for a nice grove of Aspen, and heading towards it, being very mindful of the way you go so you can find your way back to the pass, again there are no trails so be careful. 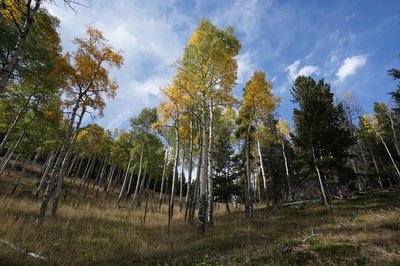 As far as a suggested route, follow the left side of the aspen grove meadow and at the bottom of the grove, turn left. 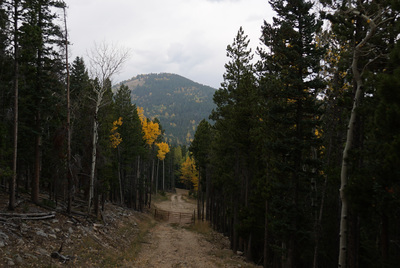 Cut across the terrain, following faint trails when possible. If you continue west you'll see a large bright grove on the other side of a small gully. 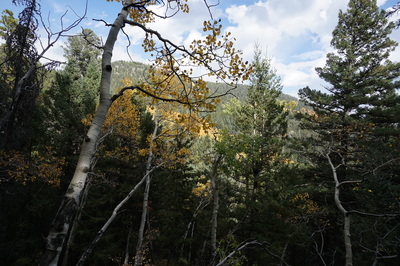 Cross the gully and climb the opposite slope and you'll find yourself immersed in the grove. 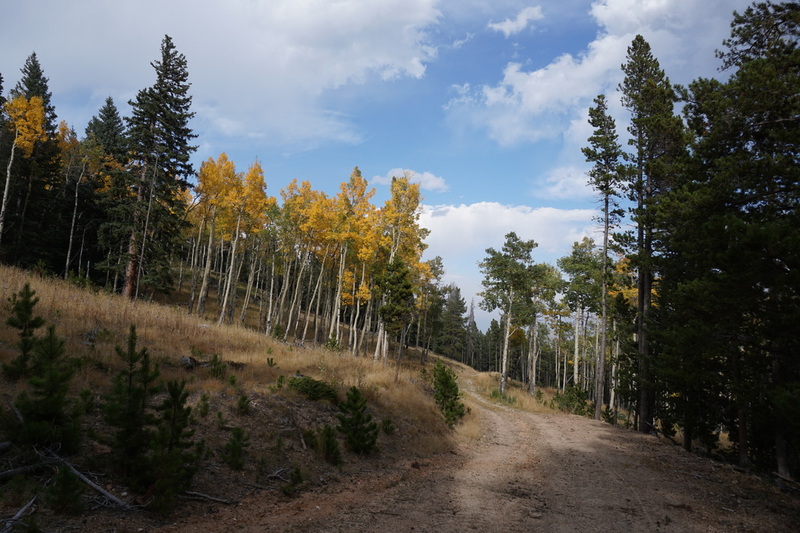 There is a faint trail at the bottom of this grove and you can follow it back as it climbs up through the grove before dissipating. 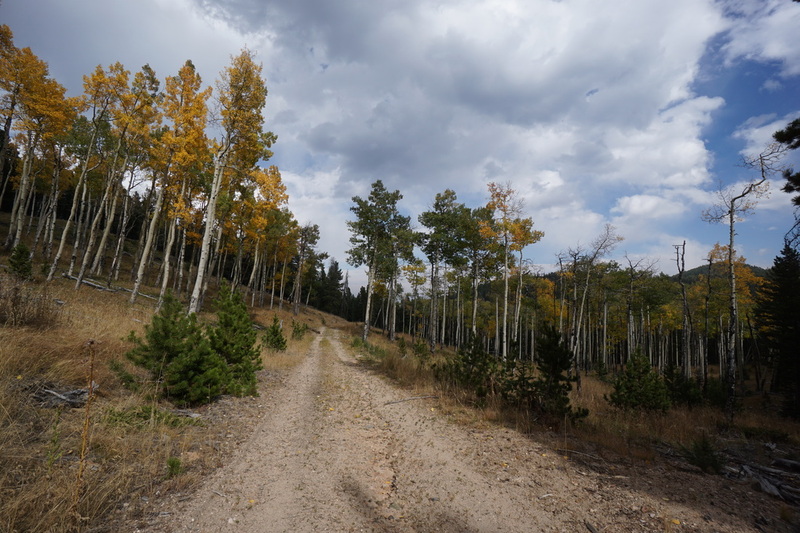 When you lose the trail be sure to head back towards the grove below the saddle to find the road again. I strongly suggest bringing a gps with you or using a gps app on your phone. 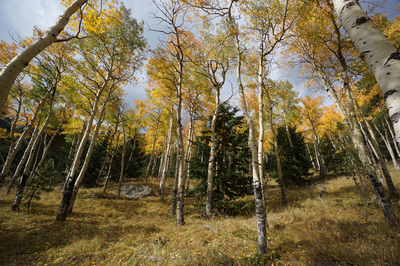 You can download this file and open it on your phone as a reference. Otherwise, be careful, but have fun. It is very exciting to hike without a trail but don't go too far and watch for landmarks. 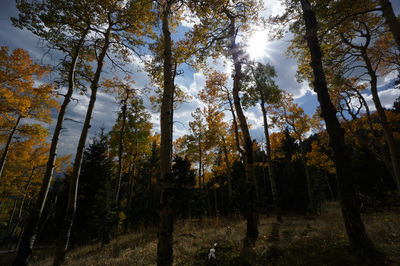 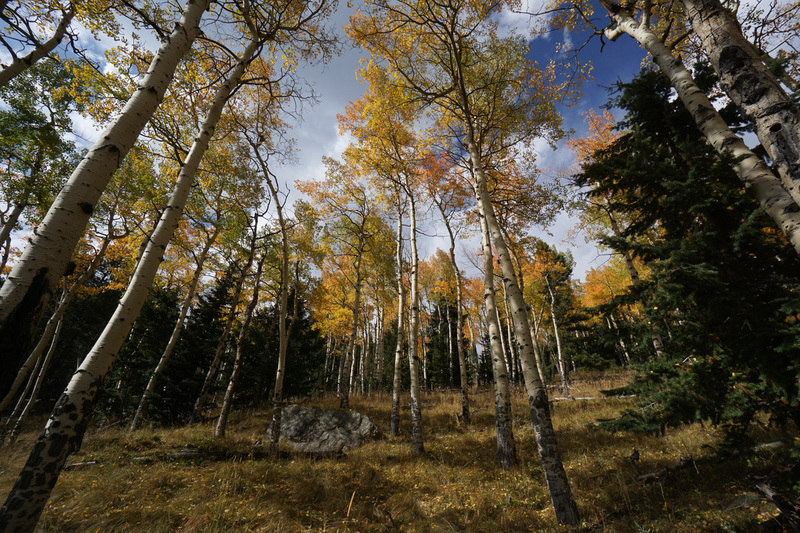 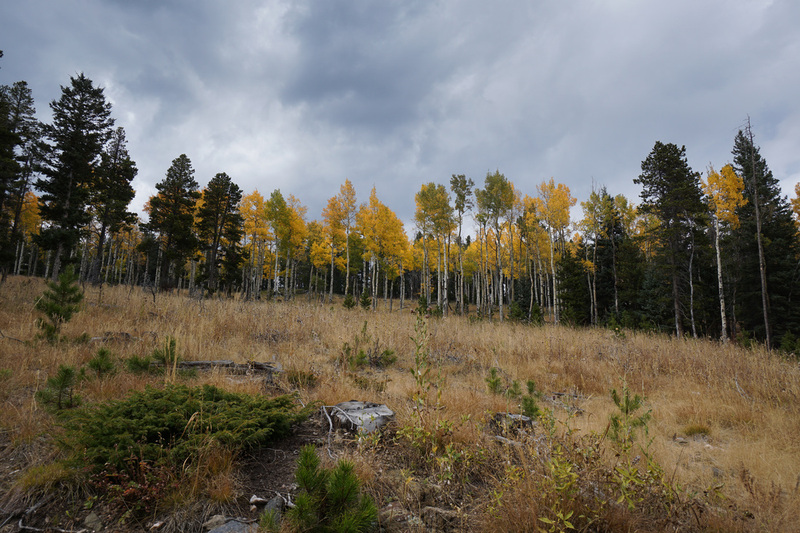 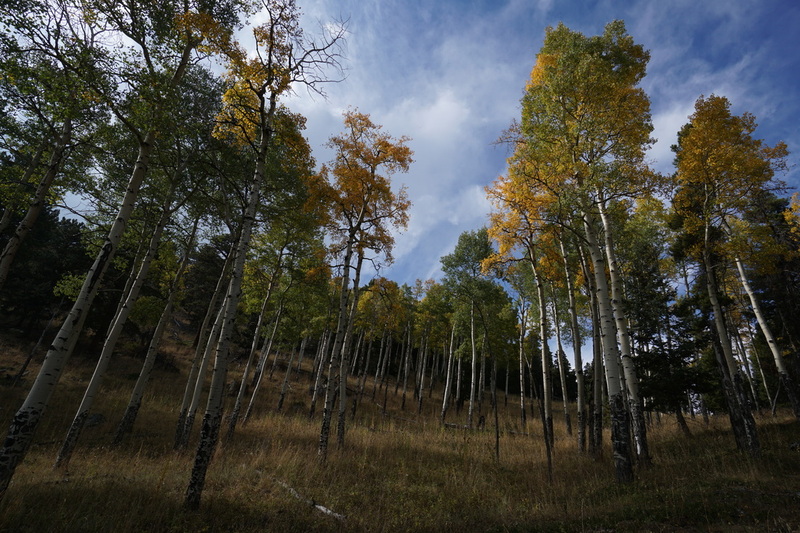 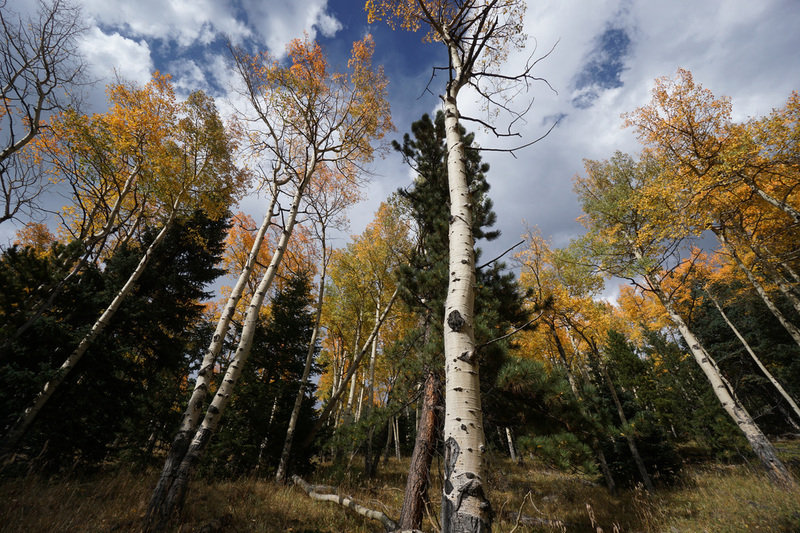 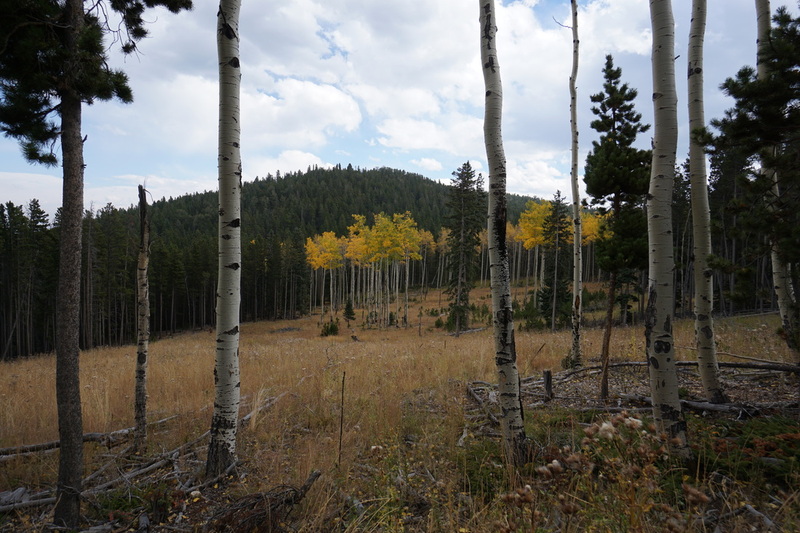 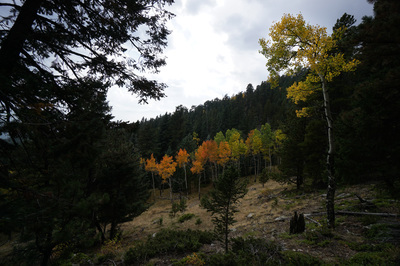 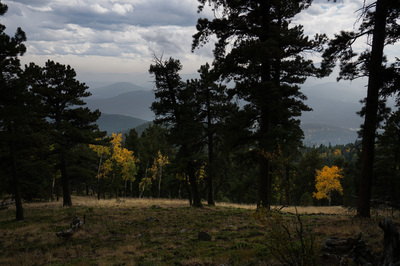 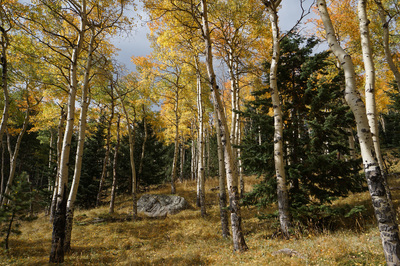 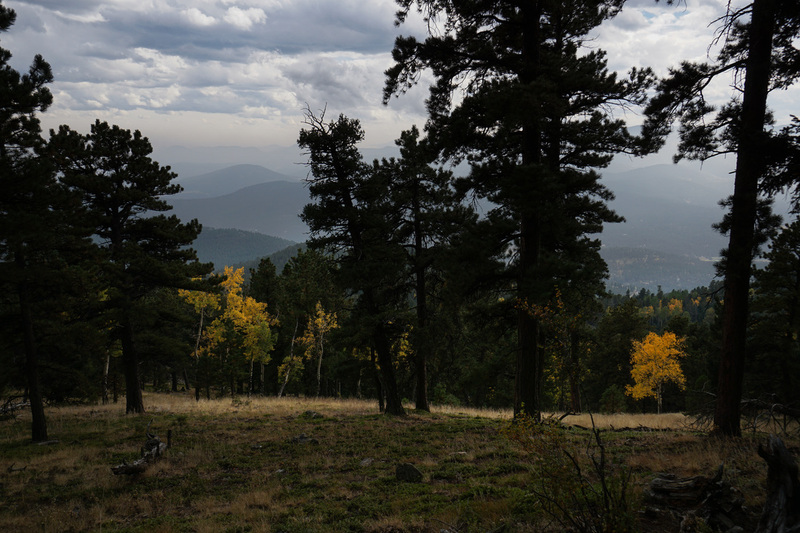 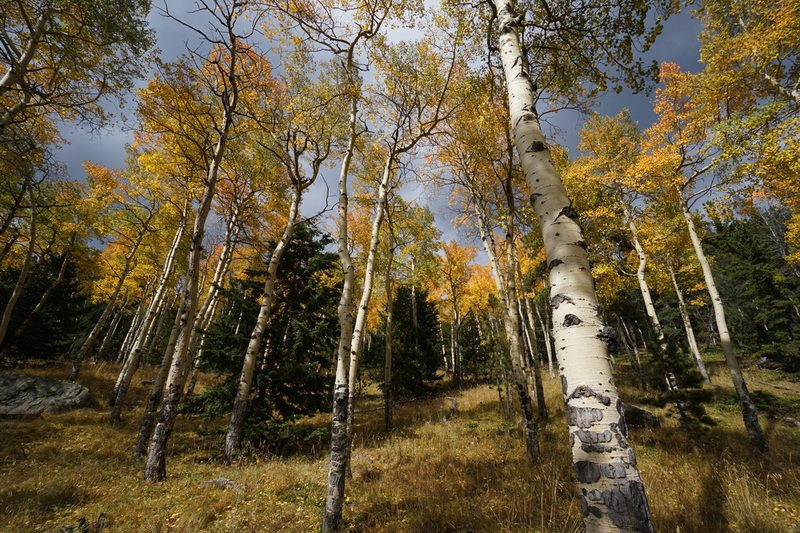 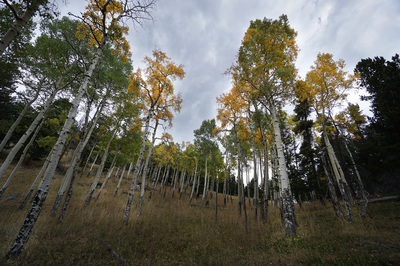 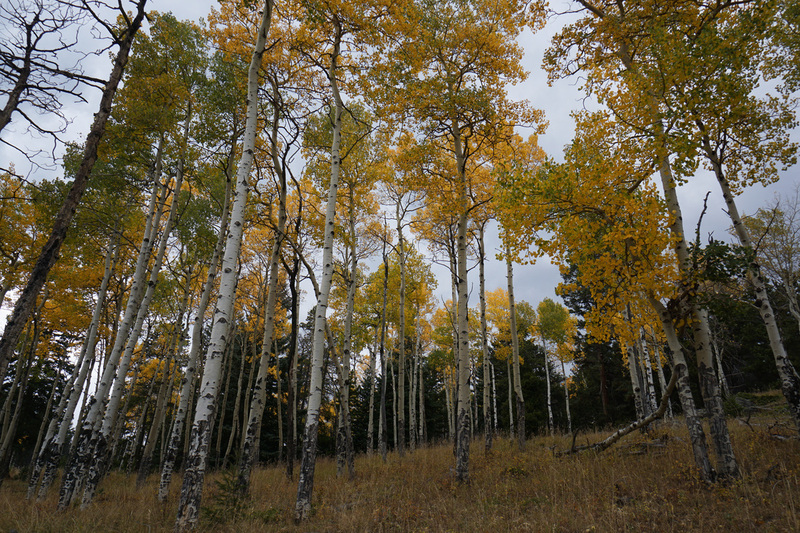 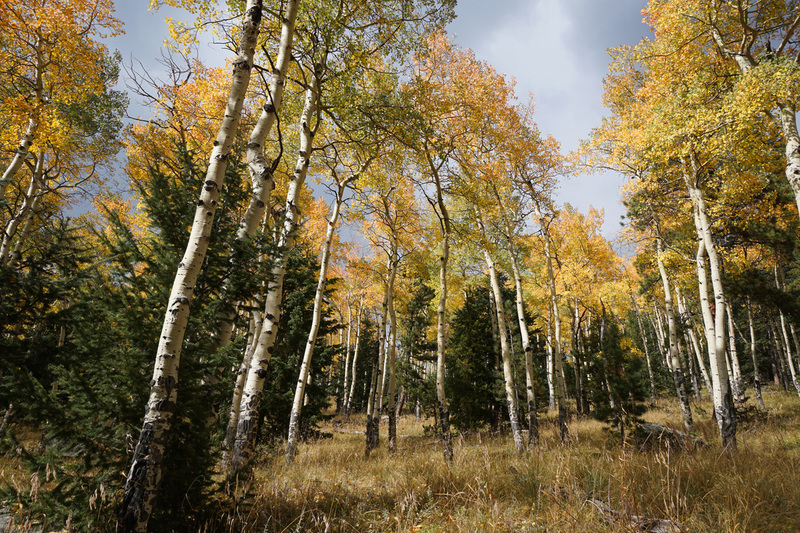 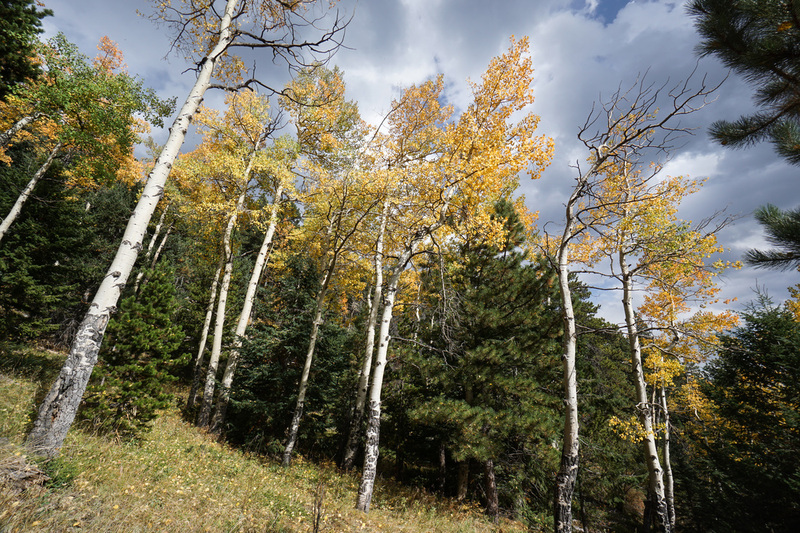 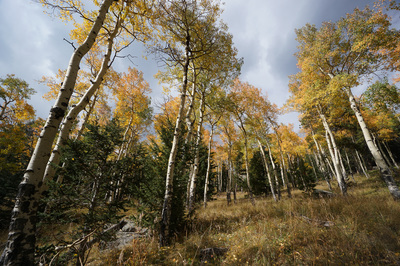 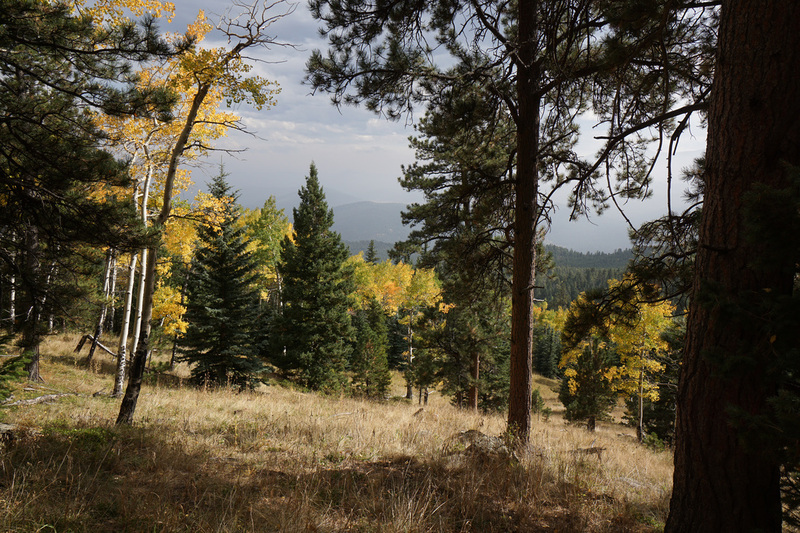 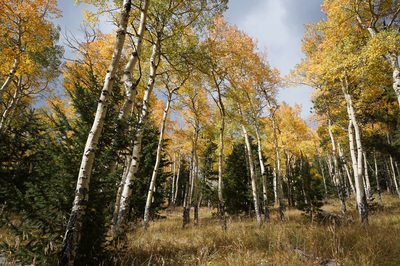 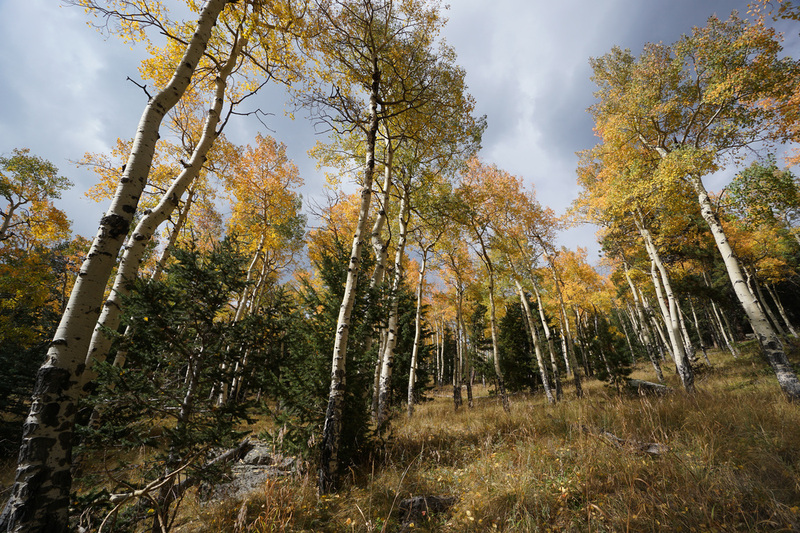 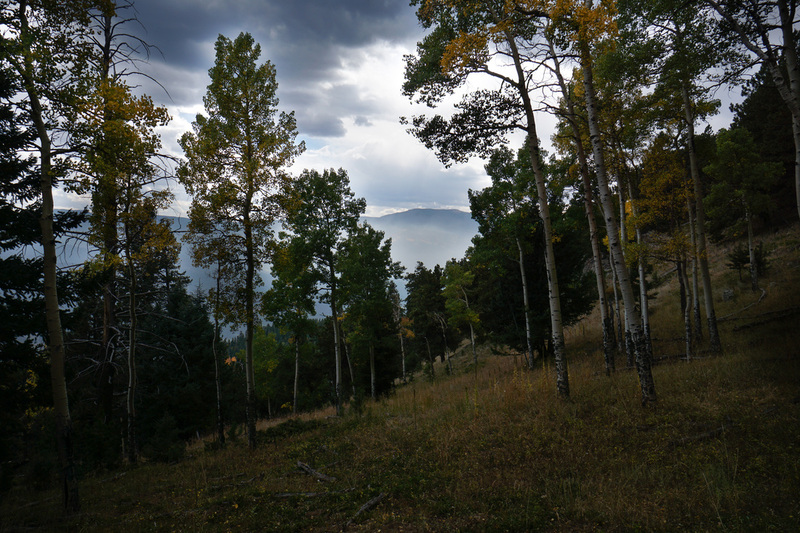 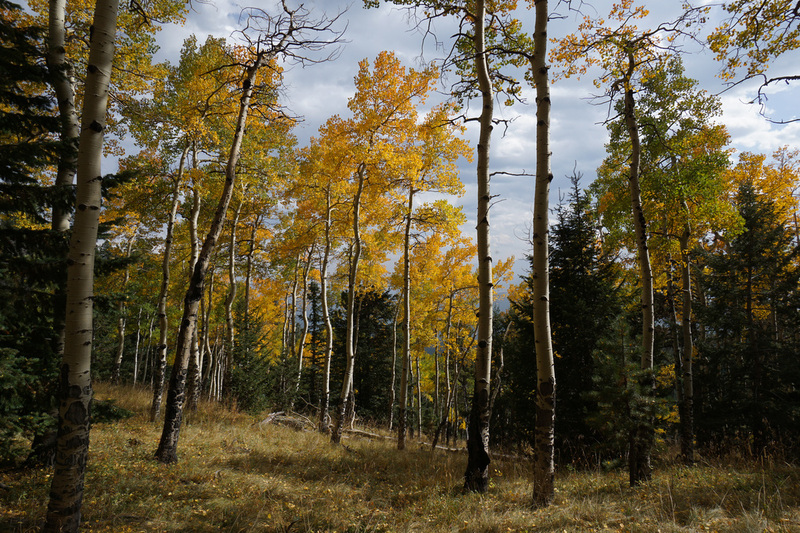 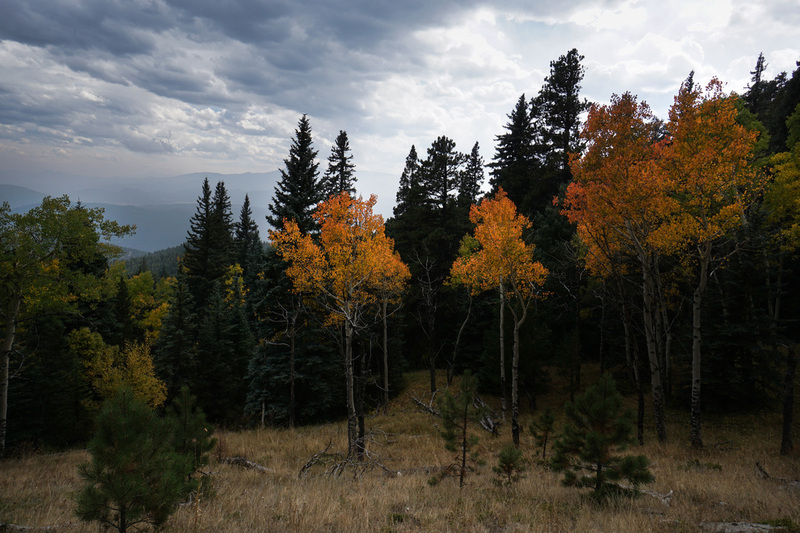 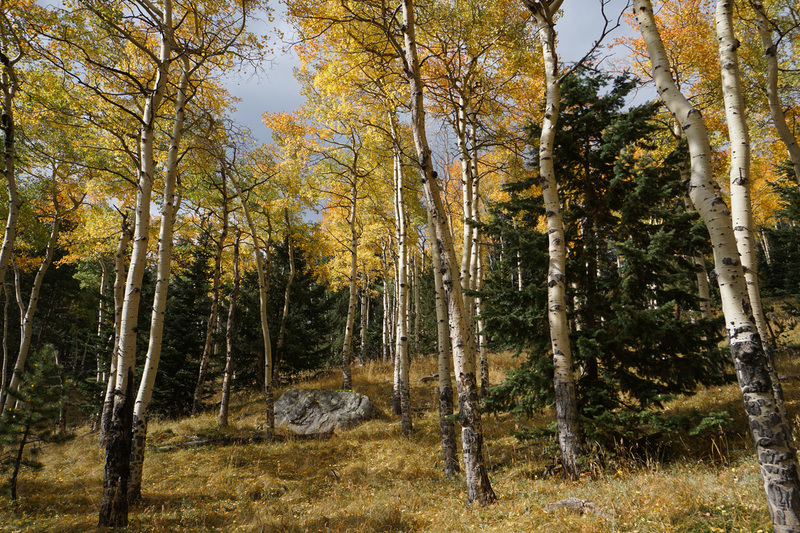 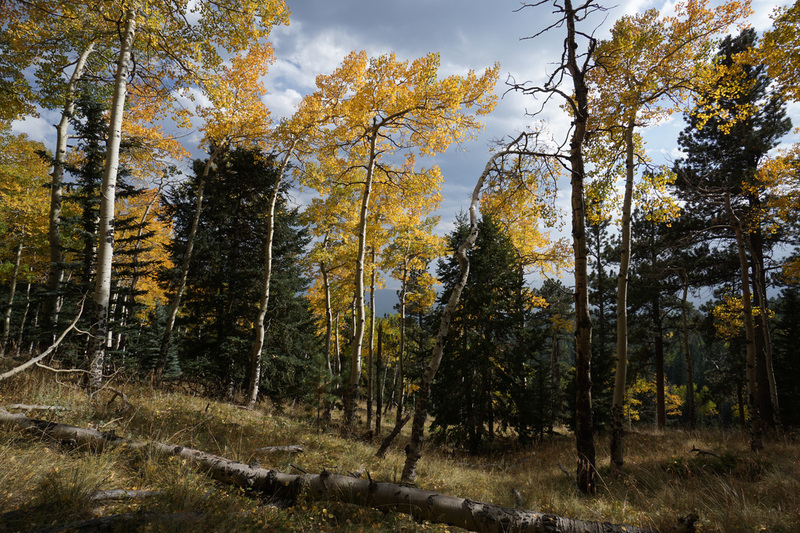 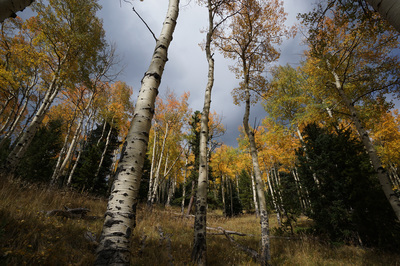 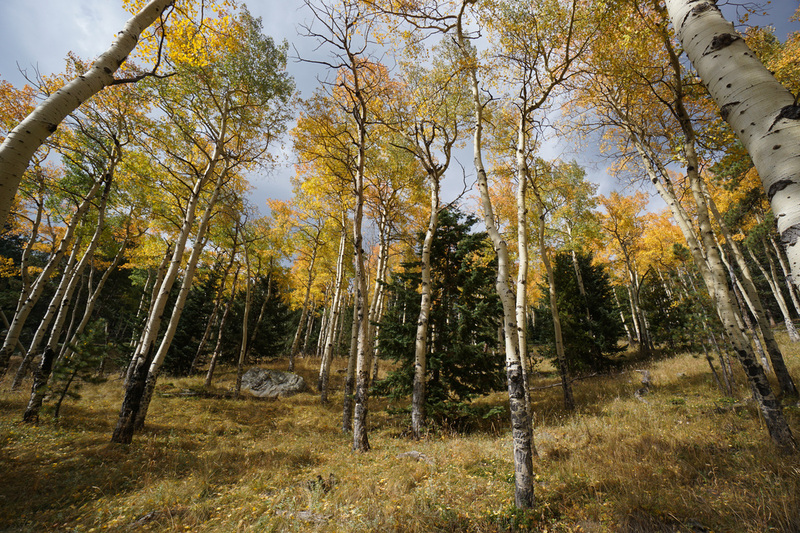 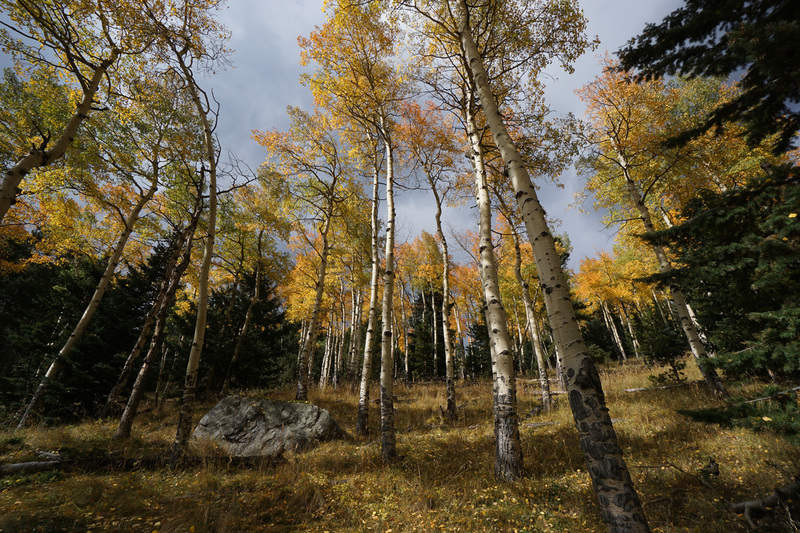 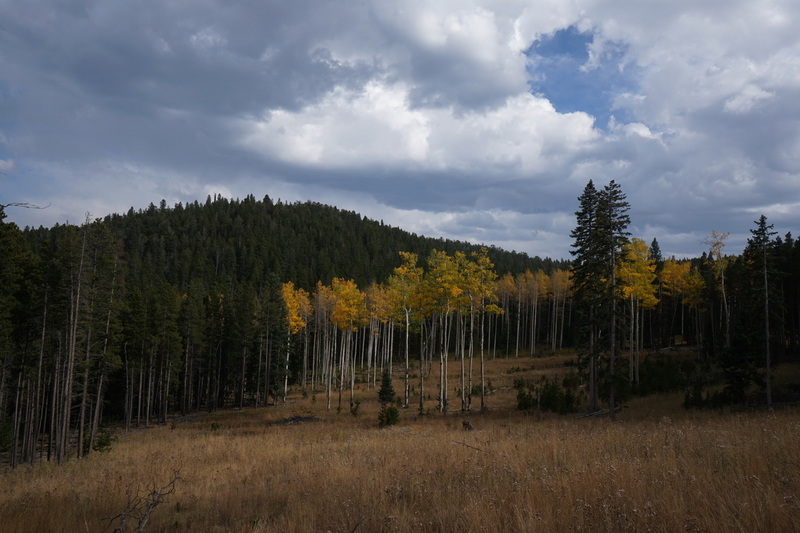 There are numerous aspen groves on this side of Bergen Peak and this area is ripe for exploration...have at it!